Lava XOLO Q700 Review : Want to Buy a Quad Core Android Smartphone Below Rs 10000 ? – Shocked!!! I was too shocked when I listened about Lava XOLO Q700 that is Offering a Quad Core Android Smartphone For Just Rs 9999.Lava XOLO Q700 is the First “Multi Profile” (See below for More Information on Multi Profile) Android smartphone As Stated by the Company which is Now Officially Available For Sale in Market For Just Rs 9999.It is the Second Quad Core Q-Core Series Smartphone From Lava After the Launch of Lava XOLO 800.Lava XOLO Q700 is one of the Best Smartphone Ever From Lava and the Most Amazing Feature of this Smartphone is its Cheap Price. Top 10 Best Android Phones Under Rs 10000Unlike Samsung Galaxy S3,HTC One etc You don’t need to Pay a High Price of Rs 25000-35000 For buying a Quad Core Android Smartphone.Lava XOLO Q700 is Powered by a Powerful 1.2 GHz quad-core MediaTek 6589W-M processor Operating on Latest Android OS v4.2 ( Jelly Bean ).Lava XOLO Q700 Features 4.5-inch qHD IPS ( In-Plane Switching technology) display that Provides Crystal Clear Image and Video Quality as well as Reducing Phone’s Thickness.Lava XOLO Q700 Supports Dual Sim ( GSM + GSM ) and is Having a 5 MP Rear Camera allowing You to Record Videos at 720p HD Quality with LED flash.Lava Iris 504Q Android Smartphone Review Gesture Control The Lava XOLO Q700 supports 3G, Wi-Fi, GPS, Bluetooth ,Micro USB port and a 3.5mm audio jack Connectivity.Lava XOLO Q700 Review|Full Specifications|Price|Pros & Cons. Let’s Now Talk about Battery Life of Lava XOLO Q700.Lava XOLO Q700 Houses a Powerful 2400mAh Battery that Provides a Talk time of about 15 Hours and a Standby Time of Approx 380 Hrs. Make Free voice Calls From PC to Mobile Anywhere Lava XOLO Q700 Comes with Lots of Important Preloaded apps like Xolo Switch which allows you to Create Multiple Profiles and Switch between them anytime, Xolo Secure that Locks your Smartphone and will track remotely if it’s lost,Xolo Power that saves your Battery to Improve the Performance of Your Smartphone. What is Multi Profile ? Lava XOLO Q700 is the First Android Smartphone to Support Multi Profiles in a Single Phone.Multi Profile Feature Allows You to Add or Create Four Different Profiles on Your Android Smartphone similar to as Multi Users in Windows PC.Lava Iris 504Q Android Smartphone Review Gesture Control Multi Profile Feature allows you to set Up your Different Profiles i.e Different Gmail Accounts , Phone Settings , Different Applications etc and Much More which is Quite an Interesting Feature to Have on a Smartphone. Lava XOLO Q700 is Available to Buy on All Major Online Retails Stores i.e Mobile Sulekha , Infibeam , Flipkart etc. Try Using One of these Players Rocket Player,PlayerPro or Daroon Player hopefully they will run your WMA Files…Or Else You can Try Running them by Converting them into mp3 Using Format Factory Converter or any other Audio Converter…. is this the best phone below 10k bugdet?most important his battery life or video recording i mean to say about his camera feature full ,could u provide me this info as soon as possible? Is there anyway we can transfer apps to SD Card on Xolo Q700? No You can’t Move your Apps to SD Card…. Hi pankaj I looking forward to buy this phone I satisfied with the specification’s &review’s of this phone but only doubt is that ” is xolo has good service center…? ” please reply asap…..
Yeah You can’t move apps to SD Card…. Pl. let me know the music quality thru earphones. I am a music lover. I need good music performance. Good Enough for its Cheap Price But not the Best…. Hello Pankaj Kumar, Can you tell me how the voice calls clarity in this phone. Good Voice Quality as per Reviews from its Users…. i have use pratten lock but i don’t knw how to set key number lock my phone set no. is q700 and hom i can open my phone and use pls. help me. very good music sound effect. Internet: i am using 2g speed is good. never had hang up, camera also very good. very clear voice while talking, nice display. ‘_’ ve points 1. extra accessories like mobile cover is not available in market. If You Want to Buy Phone For Gaming Purpose I would Say to Go For Samsung,Sony or HTC For Best Gaming Experience Else You Can Try Lava XOLO Q800 It is a Good Gaming Phones and Runs almost all Games…. I have been using this phone for 1 month now. I would say its worth for its price. – the voice on the handset is too sharp even in medium volume. This really pains my ears during long converations. I am not sure if anyone else face the same problem. hello ..i m too confused between q700 and q800.. it seems that q700 is better than q800 except camera..other than that q700 has jb 4.2, wifi direct,on the go usb connevtivity and better battery…but if i can get wifi direct and otg usb connevtivity on q800 then it would be better option than q700…please confirm me..m i right with above config and which one should i buy..plz help.. Both of them are good….If you want USB OTG Feature then go for Lava Q700 else You can buy Lava XOLO Q800 it is better for Gaming…. Hello…does XOLO Q700 support USB(OTG) functionality for connecting pendrives,mouse,keyboard and Game pads @ Pankaj Kumar. Yeah XOLO Q700 support USB OTG via OTG cable…. Will I be able to connect internet on Laptop with this moblle?? There is no gesture control You will find Gesture Control in Lava Irsi504Q Smartphone…..
light of back key is not getting on ; I have purchased xolo 700 yesterday ! feeling nervous . I live in noida ; how is the service of xolo in Noida ?dealer is not getting it back .what to do ? You should try Contacting Lava XOLO Customer Care or Your Nearest Service Center…. You can go for Sony Sola they have very good servicing and Support…..
tell me that if xolo gives and update and i update the phone then it will give me the option to move apps to sd or not??? Can we install games/app on sd card if we use the app GL to SD from google play? i am confused b/w q700 and q800 i mean i am thinking of buying q800 but as per reviews of the phone the call quality is not that great ? and what about the built quality of both these phone? Dear pankaj.. comparing canvas a111 with Q700 specification what do u think? Is it micromax canvas is better or not?? Go for Samsung galaxy S duos they have better support and sales after service as compared to Lava XOLO Services which is not very good…. Does it really run high end games like NOVA 3, Asphalt 7 etc…..
Yeah it will….But can’t say much about the Performance…. i want to buy smart phone below rs.10000. so which phone should i prefer. 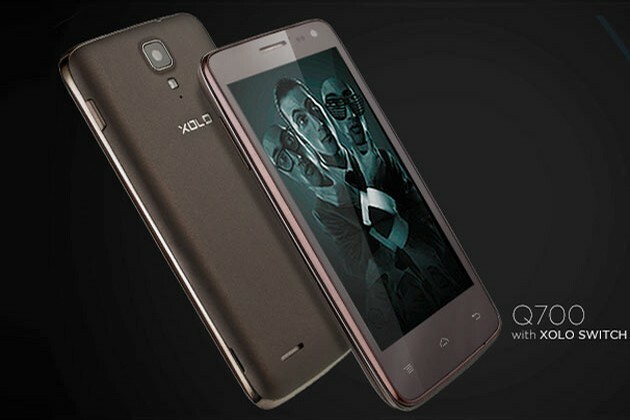 please comment on gionee ctrl v4. Dont go for Gionee….Please Buy From Reputed Manufacturer like Sony,Samsung,HTC,Micromax etc….. 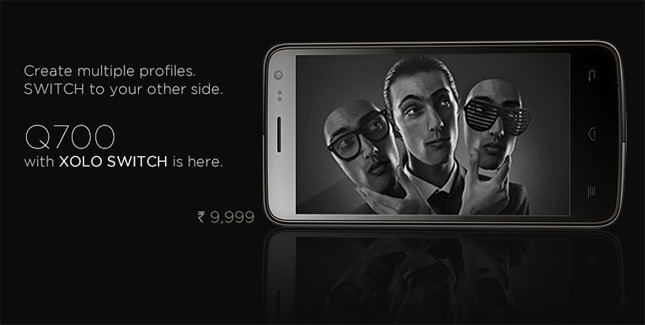 I am confused in b/w Xolo Q700 & A500S both from Xolo, only difference is of RAM. if my purpose is just an android phone and gaming only for my kids.. is Q700 better? Yeah Q700 is better but Lava A500S is also an Awesome Phone at Just Rs 6,999 Only But Remember that Sales after service is not upto the Mark….. Both are equally good but remember that sales after service is not upto the mark so think before buying…. what are you thinking about its upgrading version Q700i.